Exclusive to Euronics and Agent stores, the 097ECF87BP is a freestanding tumble dryer, that can be placed almost anywhere in your home. 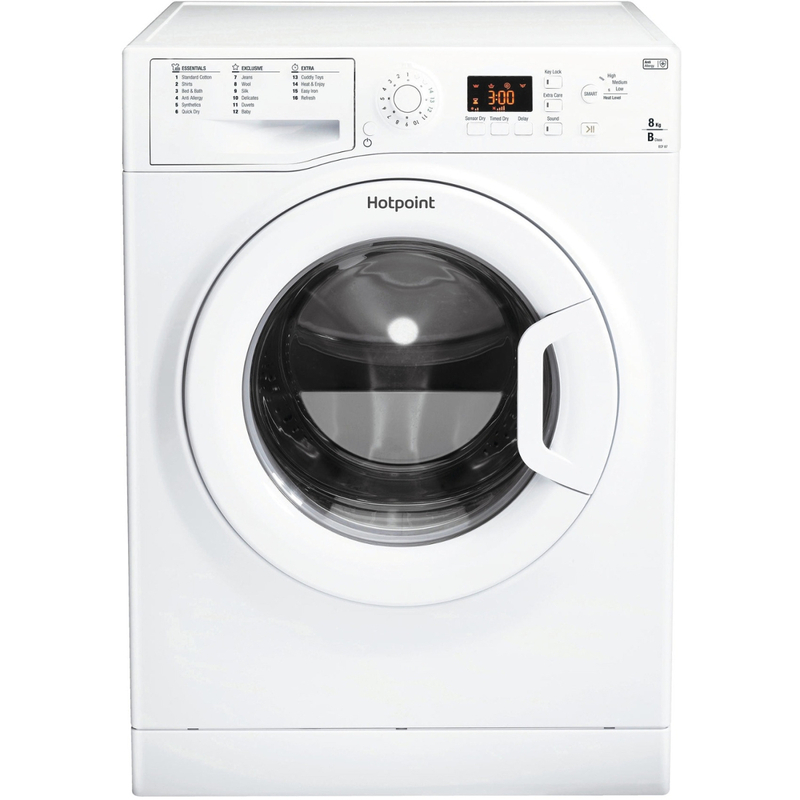 An 8 kg drum capacity gives this unit enough room for large loads of laundry, making it perfect for families. Available in a glossy white finish, this model will suit any modern kitchen. 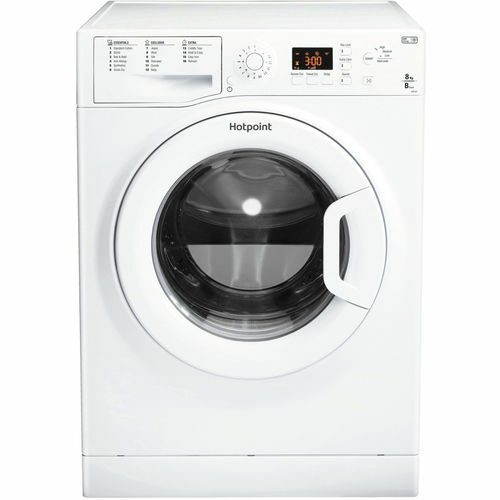 The 097ECF87BP features Hotpoint's '7 Level' sensor drying system, which checks moisture in the drum, making sure not to over dry your laundry. Set your clothes to dry using one of seven levels. An Anti-Ageing function also features on the 097ECF87BP. Using a specially designed wave drum, this condenser dryer gives more gentle treatment to laundry, keeping clothes looking vibrant and new. This model's Anti-Allergy programme has been approved by Allergy UK to care for sensitive skin. A high temperature wash removes 99.9% of major allergens, such as dust mites, fungi, bacteria and pollen. Ensure a thorough clean every time with the 097ECF87BP. A digital display on the front of the appliance means you can check wash times and settings at a glance. This model also features a delay timer, to ensure laundry is ready to suit your schedule. As a condenser dryer, this model does not need to be placed by an external wall to vent. Water and steam from your drying clothes are condensed and collected inside the machine. Laundry stays looking fresh and new with the 097ECF87BP's Anti-Ageing programme and clever drum design. Order yours today.